Mexico and northern Central America is thought to be the center of origin of capsicum annuum. There are thousands of varieties of chilies and they are all different depending on their level of ripeness and whether they are used fresh, dried or even smoked. Dried chili peppers can last for months without losing their spicy kick. All members of the genus capsicum retain their rich red hue and their distinctive taste when dried, but some varieties take on greater complexity of flavor after drying. Chilies play an integral role in many recipes, especially certain ethnic dishes. In Mexican cooking, for example, chilies are pretty much a necessity. While known for their spicy heat, chilies can also add mild and subtle flavor to dishes, depending upon the variety chosen. With chilies, possibilities are only limited by your creativity. Chili powder is commonly used in traditional Latin American dishes like enchiladas and tacos. But a spoonful also adds a welcome kick to grilled meats, stews, soups, a pot of beans, and vegetables. 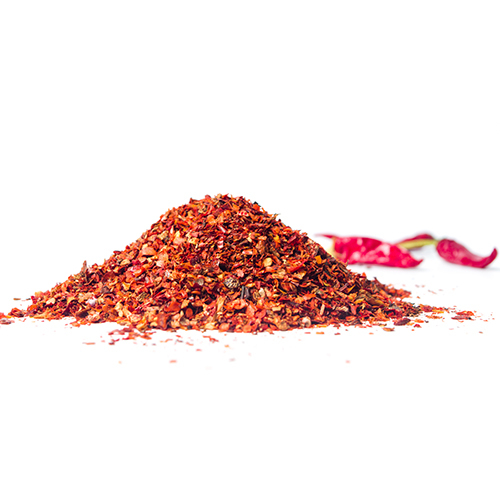 Cayenne pepper is pure ground dried chilies, while chili powder is a blend of spices. Cayenne is a type of red chili pepper and is widely used in Mexican, Asian, Indian, and Southern cooking, among others. Just a pinch adds a sweet-spicy heat to an entire pot of beans, enchilada sauce, fried chicken, or even mac n’ cheese. It also adds a nice kick to egg dishes and dry-rubs for meat and seafood. When cooking with chilies, keep in mind that the smallest peppers are generally the hottest. Chili peppers are easy to grow in a backyard garden or in containers as long as you can control the moisture. Chilies prefer well-drained soil. Keep them warm until they germinate. When peppers are in their red ripe stage, it is important to keep a close watch on them as they become quite perishable at this stage. Toward the end of the harvest season, when most of the chilies on the plants have matured to red, it is time to pick and dry them.